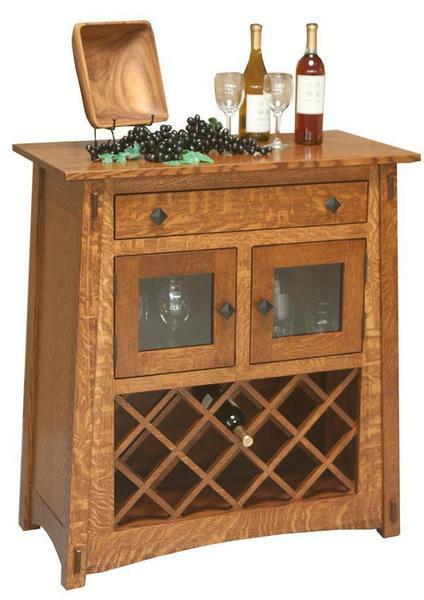 Our wonderfully handcrafted Amish McCoy Wine Server functions as a wonderful display and storage place for all of your wine, stemware and other drinking accessories. This wine rack is handmade in the United States of America and is custom built to order with your choice of hardwood, finish and optional drawer slides. Authentically Amish made.